The 6,00,000 Sq.Ft Gold Souk Grande, Ludhiana is Strategically located on Grand Trunk Road only 6 kms from Ludhiana’s famous Clock Tower. 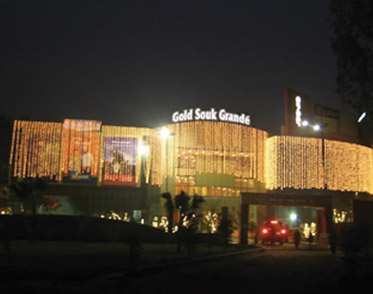 Gold Souk Grandé Ludhiana is anchored by Gold Souk making it a destination mall attracting customers from a radius of 200kms attracting footfalls from places like Phillaur, Phagwara, Patiala, Ambala, Doraha, Jallandhar, Chandigarh, Amritsar. Gold Souk Grandé has exclusive zoning for Gold Souk, Hypermarket, Ginger Hotel, Fashion & Lifestyle Retail, Brand Stores, Anchor Stores, Multiplex, Food Court. The key anchors are Big Bazar, Ginger Hotel, Cinemax, Gold Souk.